It is monsoon time in India and though wildlife photography during rains can be quite exciting, it does come with its own set of unique challenges like low and soft light, getting the shutter speeds, ensuring that one’s photo gear is protected and so on and so forth. 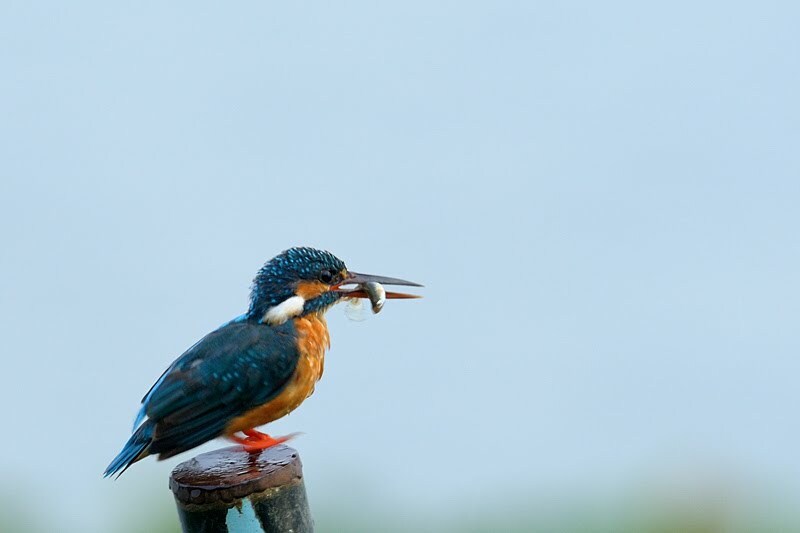 During one of our monsoon birding in India trips @ the Hebbal lake, on the outskirts of Bangalore, we got a wonderful opportunity to observe and photograph the Small Blue Kingfisher doing what it does best – fishing. It was raining and we knew that the low and soft light conditions was going to make photography very challenging. So we used a tripod to offset the problem to some extent. It was an overcast morning and watching the Small Kingfisher make successful fishing dives was quite a birding experience. It was incredible to see it come up with fish on almost every dive. The low light conditions did not permit shutter speed more than 1/250s ensuring that we could not freeze the little fella in flight. Here are a collection of images from that birding trip. 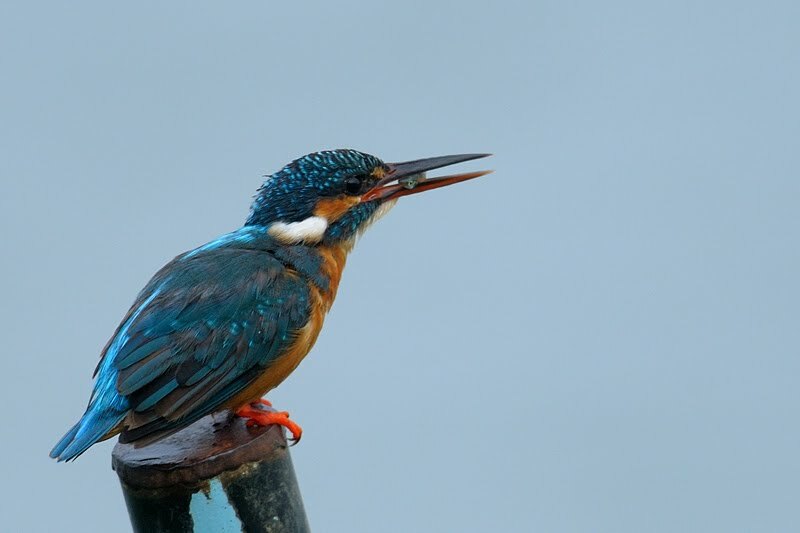 Check out this earlier post on Kingfishers, which shows some of the different Kingfisher species found in India. That is such a wonderful little series of shot. Awesome Thomas. That's a bird after running after for a while now.. I love it and really need to get pictures of it from our trip to France. Your pictures are splendid with the fish in the mouth! 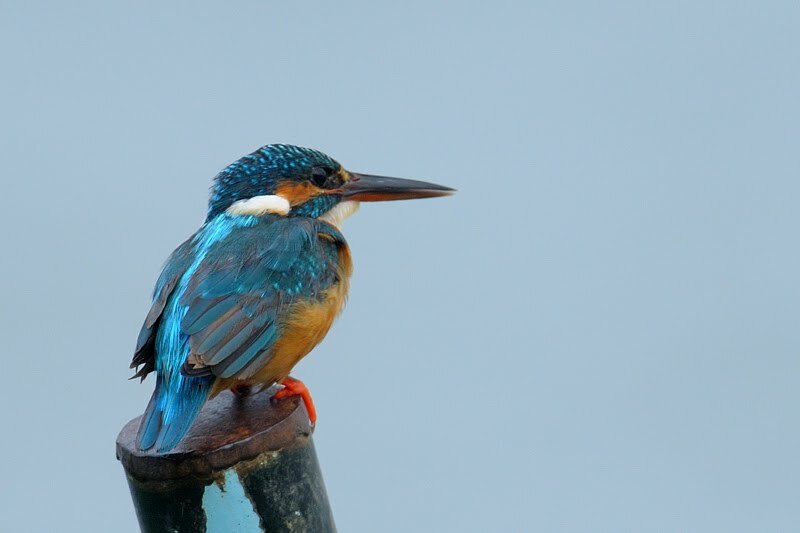 Wonderful shots and a very pretty little Kingfisher! Nice shots. These are such cool birds. nicely done. Wow, an f2.8 lens still deficient? I`m virtually out of birding during this monsoon with my 500mm f8! Thomas, you have done an excellent job of capturing this fellow in spite of the unfavorable conditions. Very challenging indeed! Wow. Nice photographs. I really like the colors on this little bird. I see that would be useful if I had such beautiful birds here to photograph. Love this series Thomas. 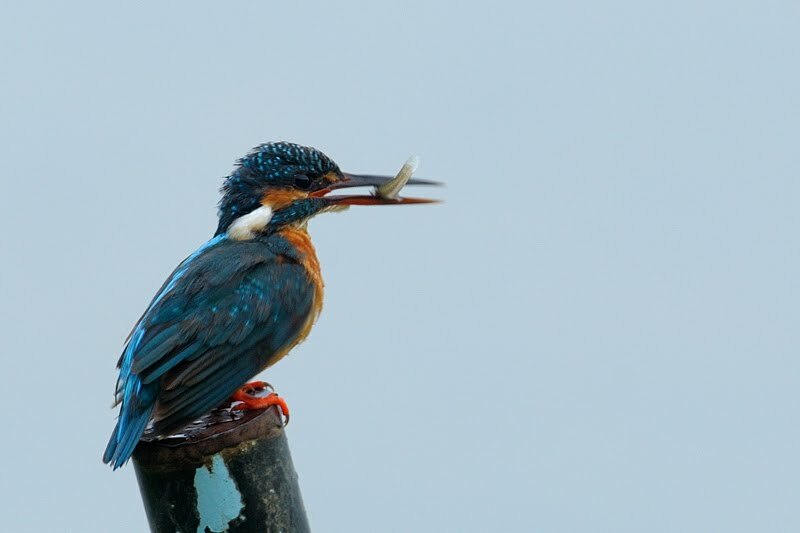 The kingfishers have always been amongst my favorites. Great shots. 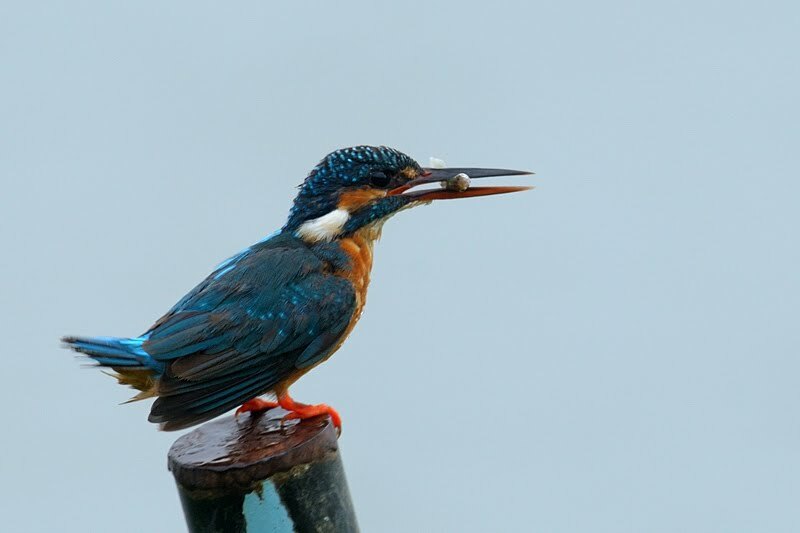 Unfortunately, kingfishers are very fearful birds and it's pretty difficult to take a good photo of them. But you've done it well! What a precious little bird in your hands, Thomas! A bird I'd love to get some good pictures of. The shining kingfishers are always a great subject:not easy to photograph anyway. It's very difficult to find them stopping for a while,isn't it? Glad to be back looking at your photos. What a beauty! Colors and light in these shots are superb!!! He is such a pretty color of blue. Nice photos. Your wildlife photography is always awesome! I know is very hard to take long shot in low light, need to have a better tripod to withstand the wind! Great to hear some of your skills! I love the blue colours of the last posts! Great photos, especially in less than ideal conditions such as those! Une magnifique série haute en couleurs ! Wonderful to the the little Kingfisher in action.